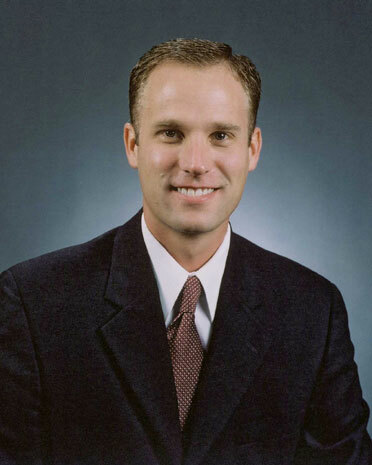 Brent L. Pospisil received his undergraduate Bachelor of Science degree from Brigham Young University in 1996. He then studied at Oregon Health Sciences University where he obtained the Doctor of Dental Medicine degree in June 2001. During his final year of dental training, Brent was recognized for outstanding achievement in periodontics and received the American Academy of Periodontology Annual Student Award. Within one month's time, Brent graduated from dental school, married, moved to Arizona and began practicing dentistry. Dr. Brent became an associate to his father, Dr. Les Pospisil, for one year and, subsequently, became a partner in Pospisil Family Dentistry. Dr. Brent enjoyed working with his father, Les, and his two brothers, Doug and Marc. He is a member of the Saguaro Study club, an organization of dentists and dental specialists. He enjoys serving his patients and has a passion for excellence in his work. Dr. Brent utilizes cutting edge technology. He has been trained in laser cavity detection through the use of a painless, precise laser that finds decay in early stages. He has also received advanced training in CEREC CAD/CAM, the high-tech computer assisted dentistry that allows him to provide beautiful white porcelain restorations (partial and full crowns) in a one-time patient visit. Dr. Brent very much enjoys his patient's satisfaction with the highly pleasing results achieved through his use of this technology. Dr. Brent enjoys spending time with his wife, Janelle, and their four children. He loves camping, swimming, wake boarding, mountain bike riding, and anything involving his family.